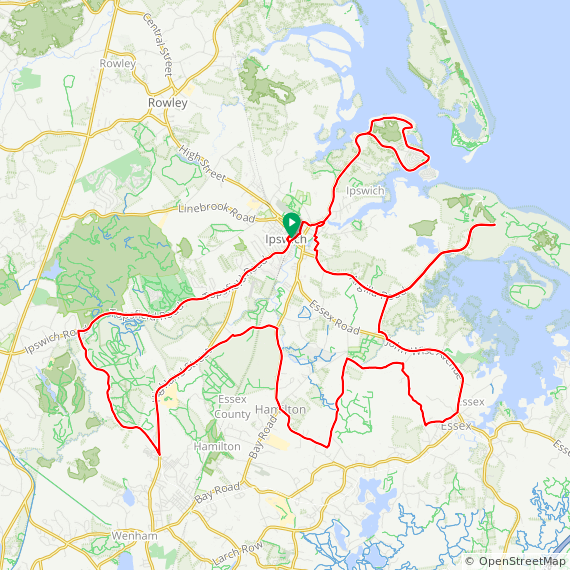 The Best of Ipswich ride features our favorite cycling roads from downtown Ipswich with a great mix of state forests, cycling along the Ipswich River, and scenic ocean vistas from Crane Beach and Jeffreys Neck, returning through the historic district of Ipswich. 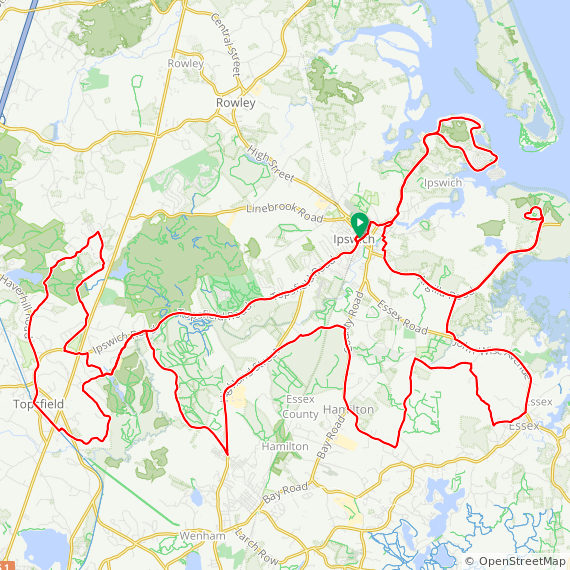 The medium ride heads west to Bradley Palmer State Park, then turns to some nice local roads in Hamilton and Essex. 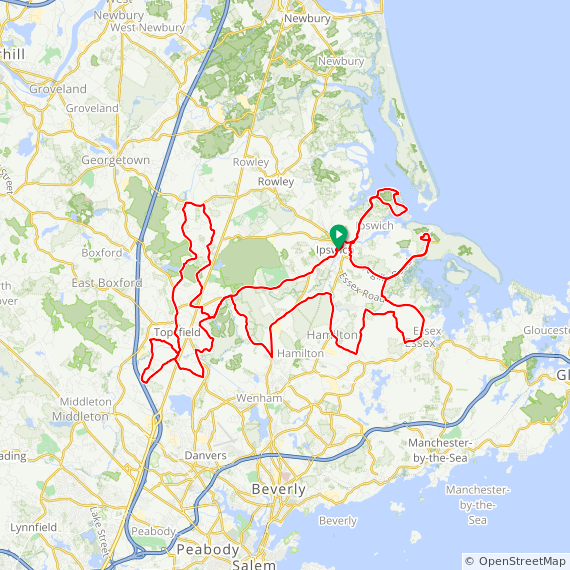 The long ride adds on Perkins Row, River Road in Topsfield and parts of Willowdale State Forest. 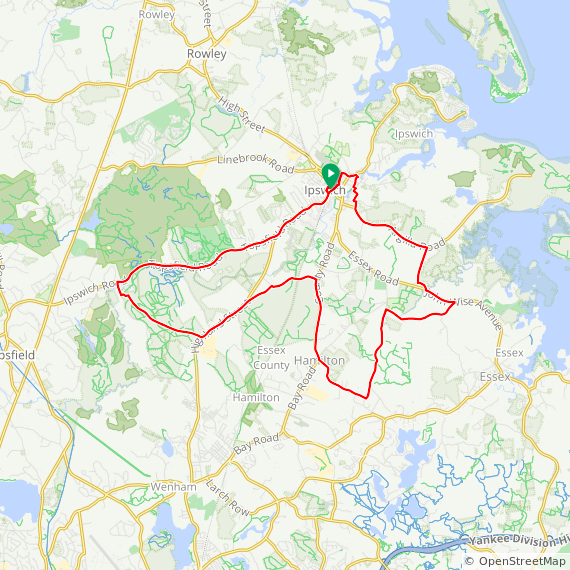 The extra long ride is a metric century and adds some great hills in Topsfield. Amy Ellis will lead ride on July 21st. The ride will be repeated on October 13th, led by Ray Best.